PLEASE NOTE: ONLINE TICKETING HAS SOLD OUT! HOWEVER, TICKETS WILL ALSO BE AVAILABLE FOR PURCHASE AT THE DOOR. ON SITE TICKETS CAN BE PURCHASED VIA CASH OR CREDIT. IF YOU HAVE ANY QUESTIONS, PLEASE EMAIL EVENTS@SMITHANDANDERSEN.COM. Eco Jam is the coolest annual industry event...put on entirely by industry performers! Held during Earth Week, Eco Jam draws attention to the importance of trees to the construction industry. For one night a year, performers are transformed from designers, engineers, and project managers by day, to musicians showcasing their talents to a packed room of their peers by night. All proceeds from this event go to tree planting initiatives across Ontario. Both Smith + Andersen and Footprint are committed to sustainable design and engineering. This commitment is central to, but also extends far beyond, our everyday work. Along with many leaders in the AEC industry, Smith + Andersen supports responsible stewardship of trees not just in Ontario, but across the country. From the very beginning, we wanted the donations from this event to go directly to planting trees, which is why we partnered with Forests Ontario. Through this collaboration, the Eco Jam event has planted more than 10,000 trees across Ontario in just the last five years. 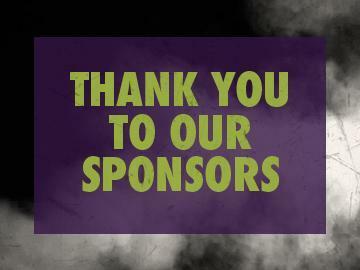 Thank you to our generous sponsors and performers. Browse the gallery below to see our sponsors and photos from past Jams!